55 is the new 35, only 35 never came with discounts like this. We’re excited to offer a premium discount to our senior citizen customers. If you are 55 or older, we encourage you to sign up for our lifelong 15 percent discount on all of our premium CBD products. CBD may have wide-ranging health benefits that can help improve mobility, pain, stress, sleep problems and more. Many of our senior customers report a healthier, more active lifestyle with daily CBD use. To redeem your CBD senior discount, simply fill out the form to the right. Providing valid photo ID is optional. 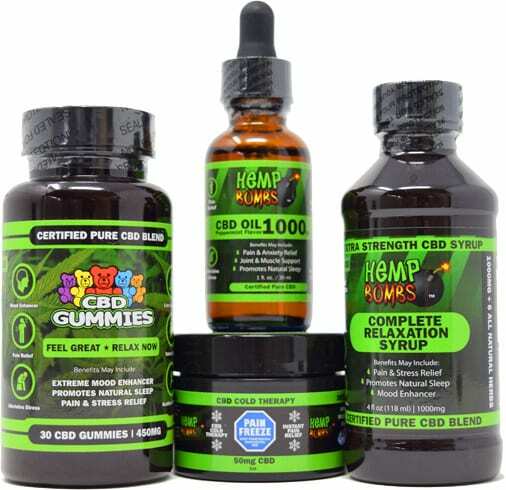 If you have questions about our high potency CBD products, contact customer service at 1-800-589-9098 or Contact Us. CBD, or Cannabidiol, is a prevalent compound found in Cannabis plants. CBD has a growing reputation for delivering many natural health benefits to people and animals. CBD works with your Endocannabinoid system, which has a network of cannabinoid receptors throughout your body. As a complement to this system, CBD can help regulate important functions like mood, digestion, sleep, pain sensation and immune response. At Hemp Bombs, we source our CBD from organic, superior-grade Industrial Hemp grown with sustainable methods. What are the benefits of CBD for seniors? CBD has potential to help people of all ages, and we sell our products to customers aged 18 through over 100. Seniors can be more likely to experience high blood pressure, chronic pain and sleep complications, which is why CBD is often a highly beneficial supplement for this age group. CBD is also popular among consumers with minimal health issues, as it can provide an overall boost of wellness and a sensation of calmness. Whether you are looking to support an active lifestyle or spend more quality time with your loved ones, CBD has the potential to help. Yes, Hemp Bombs CBD products are federally legal. We cultivate our premium CBD from high-quality Industrial Hemp for legal compliance. Our products contain “CBD isolate,” which means they do not contain any traces of THC. Without THC, there are no psychoactive or illegal substances in our CBD. Hemp Bombs does not source from Marijuana plants. No. As we mentioned, our CBD does not contain any THC, which is the psychoactive compound found in Cannabis that causes a “high.” CBD can help you relax into a state of calm, but it will not produce any mind-altering effects.